← What’s at stake in the new post-16 Area-based Reviews? Simplex:…but not adopt vote-winning policies. Sim:…but not simply pander to what people want. Sim:…but not raise people’s expectations too much. Sim:…but not principles which seem too pure. Sim:…but not attract too many people we might disagree with. Sim:…but not by proposing alternatives to austerity. Sim:…but not be seen as ‘unfriendly’ to business. Sim:…but not challenge received thinking. Sim:…but not by proposing much change. This entry was posted in Politics and tagged Labour party, politics. Bookmark the permalink. Fun analysis Eddie, but how would you vote now? Jeremy Corbyn? I’m considering rejoining Labour so can vote (left after Iraq, having been a member for many years, & Labour was the party of my parents and more importantly grandparents – miners in Wales). 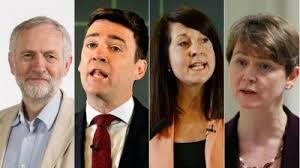 We need a leader who offers a positive alternative, can work with all sections of the party and win new support. Jeremy Corbyn can do that.